I was looking for a missing photo, and realized I don’t have any backup for my pictures from 2005 and 2006. I used to back up my photos on DVD every year, and I have from 1998 till about 2011 on DVD. I don’t think I was missing ’05 and ’06 before, whenever “before” was. I DID know that I was missing 1997, the year I moved here, and the year I bought my first digital camera. After the annual DVDs, about 2011, I started keeping my backup on external hard drives. But they fail, as I have found out. Gold colored DVDs are the best, waterproof. Hurricane Michelle got all my discs wet, and all the silver ones were ruined. They looked ok immediately after, but over time, the got “holes” in the “foil”. What’s your backup system? Do you have one? This morning I had a good walk with Sheba the dawg. It was raining and I took the umbrella, but as soon as I walked away from the house, it quit raining, and when I got back, it started raining again. It must’ve been raining only at my house… The sea was strange, glassy but with a big crashing wave about every 5 or 10 seconds. I didn’t swim. And it’s cloudy but should be clearing up soon. 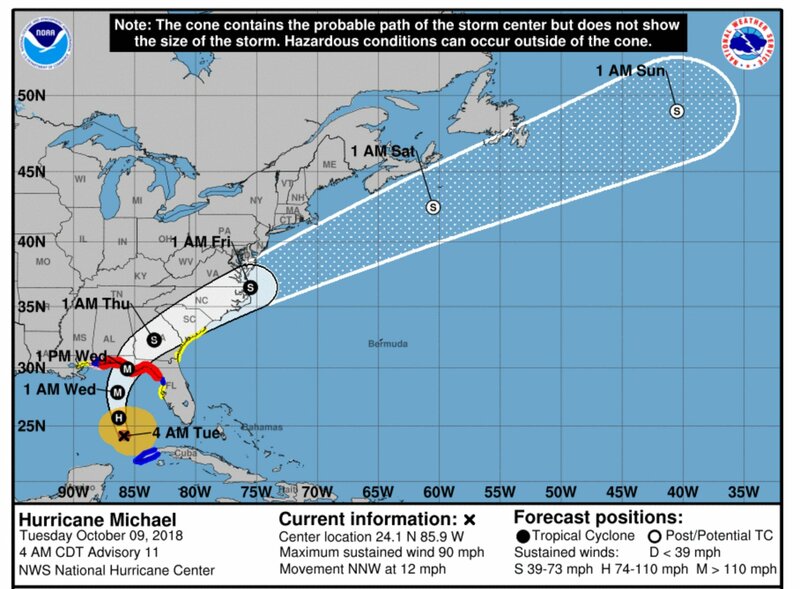 Our rain moved away and became Michael. Interesting about the gold DVD’s. I didn’t know that. I never used the gold dvds before but I have my photos on dvds, I can’t recall the make. I also have the on external hard drives and they have been fine since 1998. I might have to get another one soon. No problems yet but now you got me thinking. My DVDs start at 1998, but the hard drives have failed, I always copy my photos when I get a new portable drive. That is a worry as dvd is my prime back up for photos, but I do make a copy disk as well. I make a couple of dvds a year and have since about 2005. It will be a huge task to back up the back ups. DVD is the best backup, if you don’t lose the DVDs. Hard drives fail. I am the technical team!